No one likes to get injured. But for an athlete, an injury can constitute a major setback and even hinder or end a professional career. Unfortunately, once an injury does occur, the likelihood of recurrence or additional problems increases. With its dual focus on recovery and prevention, this two­-day intensive shows you how to help athletes return to their game post-­injury and, perhaps more important, help them prevent injuries in the first place so they can stay in the game. 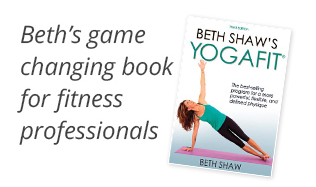 Ideal for sports professionals who work with athletes—yoga teachers, personal trainers, physiotherapists, and strength and conditioning coaches.